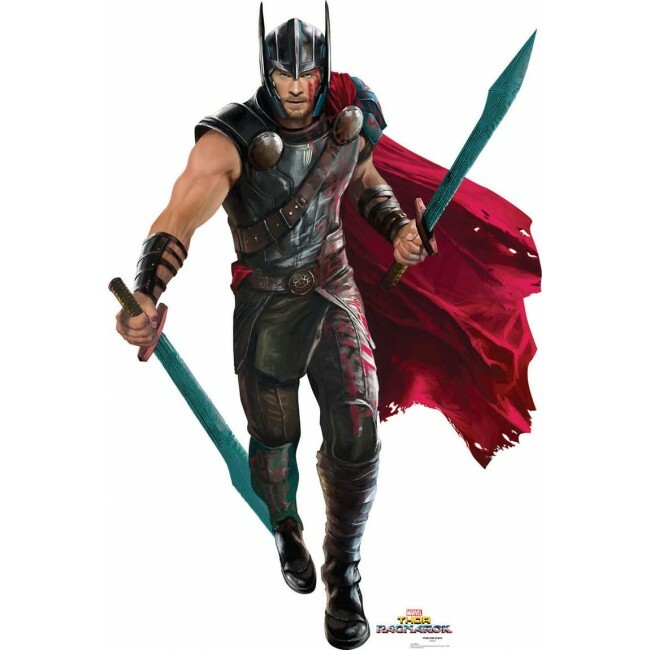 This is a cardboard cutout of Thor (Thor Ragnarok). Perfect for fans of Marvel superhero movies and comics! It features a singled-sided high quality print on cardboard with an easel on the back so it can stand on its own. Cardboard cutouts make great decor for parties, photo ops and events! Size is: 68" x 45".